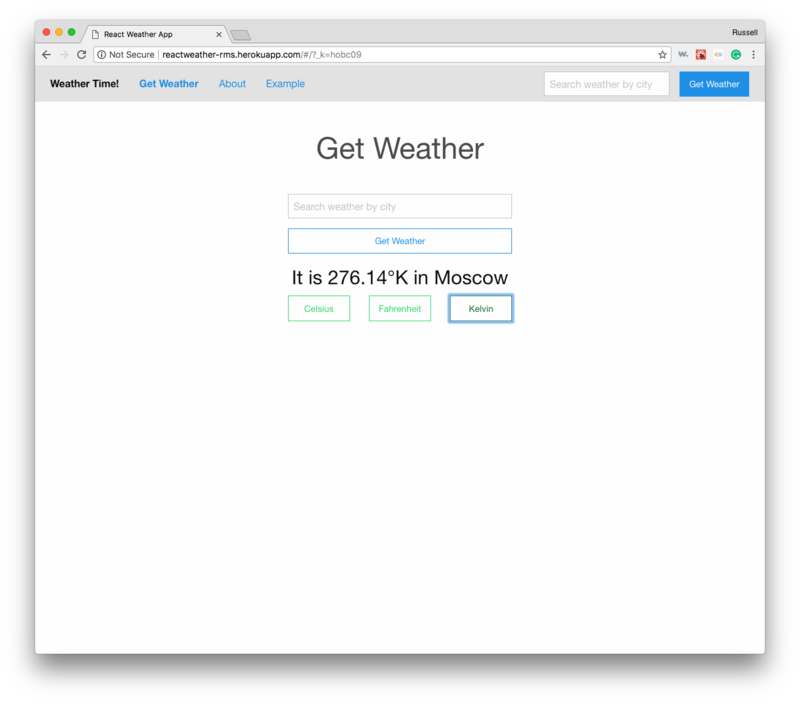 This fun hobby site grabs the weather from any city in the world (of size) and returns the weather in Fahrenheit, Celsius, and Kelvin. Simple, flat Foundation styling is present here. Rugged and utilitarian as weather sites ought to be.